Want more from Indeed? Use a Connected ATS. a Connected ATS get the best results. 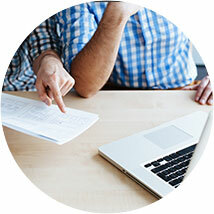 Connected ATSs integrate with Indeed Apply to simplify the job search and apply process. 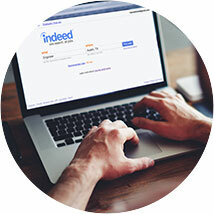 This makes it possible for more quality candidates to find and apply to your jobs from Indeed. If your ATS isn't on this list, contact your ATS about connecting with Indeed. To send an email from your own account, select your ATS below and click "Email Your ATS Now"
using the email template we've provided. Prior to April 2014, 50% of Indeed job search traffic for SilkRoad's clients came from mobile devices. But these job seekers couldn't easily apply from mobile, so employers risked losing them as applicants. To maximize results, SilkRoad connected to Indeed and integrated Indeed Apply, enabling people to easily apply to jobs on Indeed directly from mobile devices. After 3 months clients received nearly 2X the amount of qualified applicants. 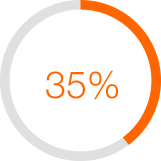 Hires sourced from Indeed mobile applications, up from 0% prior to connecting with Indeed. 35% of hires were sourced from Indeed mobile applications, up from 0% prior to connecting with Indeed. Ready to connect your ATS?